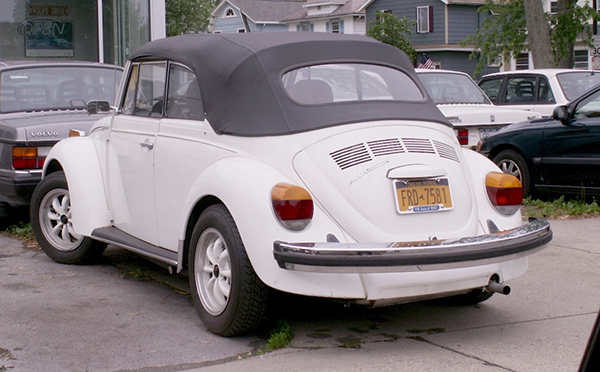 This 1977 Volkswagen Cabriolet was bringing VW closer to the end of the line for Bug droptops. Turns out that two years later in 1979, it was not only the last year new Bugs were sold here, it was also the last year for the Cabrio worldwide, period. (For 1978 & 1979 Beetles were available in the U.S. only as convertibles, with sedan sales being replaced by the new Rabbit which was introduced for 1975.) VW debuted a Golf/Rabbit Cabriolet for 1980. Saw this white one recently in Buffalo.